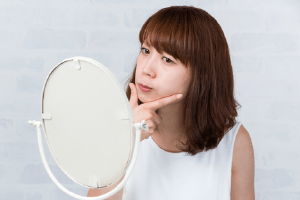 If you’re struggling with chronic jaw pain or impeded motion, you may need to consider scheduling an evaluation to determine whether or not you’re suffering from a common oral health concern – TMJ dysfunction. The TMJ connect the skull to the jawbone and allows us to comfortably perform a variety of functions. 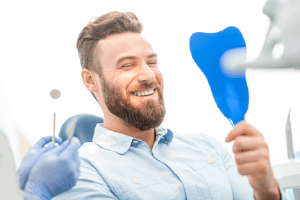 When these joints are damaged, the result can be pain, immobility (lock jaw), and a variety of other symptoms that make it difficult to share a smile without pain. At Aegis Dental, we offer a variety of TMJ dysfunction therapies to relieve pain and restore full, healthy jaw movement. If you’re dealing with warning signs of TMJ dysfunction, call our Carrollton dental office to schedule a consultation appointment. During your evaluation, we’ll visually and manually examine your jaw and observe its function. We will also capture digital x-rays, so we can determine whether or not your bite is misaligned. Once we’ve determined that you’re suffering from TMJ dysfunction, we’ll partner with you to develop a treatment plan to relieve pain and restore complete function. The temporomandibular joints (TMJ) are small connective structures that attach the jaw to the skull. When properly functioning, these joints make it possible for us to speak, chew, yawn, and smile without any discomfort or impediment. 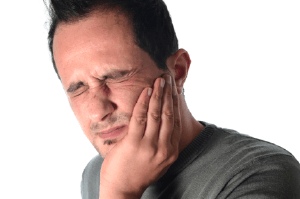 When the TMJ are damaged or strained, even the smallest movement can be painful. When a patient has damaged or strained their jaw joints, they’re suffering from TMJ dysfunction, which is sometimes referred to simply as TMD. Your TMJ dysfunction therapy plan will be personalized to address the causes of your jaw pain and impeded movement. In some cases, pain relieving medications, heat or cold, and stretching exercises may help to relieve the strain and inflammation in the TMJ and restore healthy, painless function. 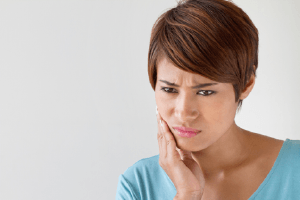 For some patients, a misaligned bite causes TMJ dysfunction. These patients will need orthodontic treatment to reposition their teeth and improve function. Another common cause of TMJ strain is nighttime teeth grinding and clenching, bruxism. Patients with this disorder may receive effective treatment using a custom-crafted nightguard. These oral appliances hold the jaw in a comfortable resting position through the night to relieve unnecessary strain on the TMJ and renew pain free function.